Garmin - Single Frequency Plastic In-hull Mount Transducer 200KHz 14 deg plastic in-hull mount depth transducer Plastic in-hull mount transducer with depth. Operating frequency of 200 kHz. Beamwidth of 14 degrees. Transducer kit comes with installation instructions. Garmin - Single Frequency Plastic Trolling Motor Transducer 200KHz 14deg plastic trolling motor transducerPlastic trolling motor transducer with depth and temp. Operating frequency of 200 kHz. Beamwidth of 14 degrees. Transducer kit comes with installation instructions. Generic - Dual Beam Transom Mount with Depth and Temperature Features: Our plastic transom mount transducer with depth and temperature has an operating frequency of 200 kHz. The dual beamwidth is 45/15 degrees. Includes mounting hardware and installation instructions. Garmin - Single Frequency Plastic Transom Mount Transducer 200KHz 20deg plastic transom mount transducerPlastic transom mount transducer with depth temperature and speed. Operating frequency of 200 kHz. Beamwidth of 20 degrees. Transducer kit comes with installation instructions. Garmin - Single Frequency Plastic Thru-hull Mount Transduce 200KHz 12deg plastic thru-hull mount transducerPlastic thru-hull mount transducer with depth and temp. Operating frequency of 200 kHz. Beamwidth of 12 degrees. Transducer kit comes with installation instructions. Generic - Transom Mount Transducer with Depth, Temperature a Features: Our plastic transom mount transducer with depth temperature and speed has an operating frequency of 200 kHz and a beamwidth of 20 degrees. Kit includes installation hardware and instructions. Generic - Canada Inland Lakes â€” Nova Scotia Features: Includes lakes with detailed shorelines and depth contours/spot soundings. Allows users to search for lakes and cities by name or proximity to a location. Garmin - Dual Frequency Bronze Thru-Hull Mount B117 Transdu Dual frequency transducer - 50/200kHz. Bronze thru-hull mount Depth & Temp AIRMAR B117. Compatible with all Garmin dual frequency sonar units. 0-8 ° deadrise. Garmin - AIRMAR DST800 Thru-Hull Smart Sensor for Garmin NM AIRMAR DST800 Smart Sensor. Provides depth temperature and speed readings. Thru-hull. NMEA 0183 connection. This sensor provides data directly to Garmin's digital marine instrument display (GMI 10) or chartplotters. Generic - 20 Degree, 200/50 kHz Bronze Thru-hull Mount Trans Features: Connect our bronze thru-hull mount transducer to your compatible device to receive depth and temperature data. This tilted transducer has an operating frequency of 200 and 50 kHz; and a beamwidth of 20 degrees. Garmin - 1kW Dual Frequency Bronze Thru-Hull Mount B258 Tra High power dual frequency transducer - 50/200kHz. 1kW bronze thru-hull mount w/ fairing Depth & Temp AIRMAR B258. Compatible with Garmin units capable of transmitting 1kW or more (GSD 22 GPSMAP 525s 535s & 545s). 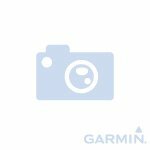 Garmin - 1kW Dual Frequency Bronze 20&deg; Tilted Element T High power dual frequency transducer - 50/200kHz. 1kW bronze 20 ° tilted thru-hull Depth & Temp AIRMAR B164. Compatible with Garmin units capable of transmitting 1kW or more (GSD 22 GPSMAP 525s 535s & 545s). Generic - 200/50KHz, 6/19deg, 1KW, plastic, in-hull mount, d Features: 1KW Plastic in-hull mount transducer with depth and mounting tank. Operating frequency of 200 and 50 kHz. Beamwidth of 6 degrees at 200 kHz 19 degrees at 50 kHz. Transducer kit comes with installation instructions. Garmin - 1kW Dual Frequency Stainless Steel Thru-Hull Mount High power dual frequency transducer - 50/200kHz. 1kW stainless steel thru-hull w/ fairing Depth & Temp AIRMAR SS270W. Compatible with Garmin units capable of transmitting 1kW or more (GSD 22 GPSMAP 525s 535s & 545s).